On the second day of the 1976 Innsbruck Winter Olympics, Franz Klammer made his memorable downhill run for the gold. But the real surprise that day was the silver medal won in the 30km cross country race by twenty year old Bill Koch (pronounced Coke) from Guilford, Vermont. That marked the first Olympic medal won by an American in any cross country event. Koch remains the only U.S. competitor to win a cross country Olympic medal. While the Sochi Olympics aren’t over yet, it appears he may continue that distinction for another four years. Bill Koch may have been a surprise silver medalist to the public, but his fellow competitors weren’t surprised. In 1974 Koch had served notice by placing third in the European junior championships, the highest placement ever by a North American competitor. In the two World Cup races leading to the 1976 Olympics, Koch had been in the top three. Koch followed his silver medal in the 30km with a sixth place in the 15km and thirteenth in the 50km. By the 1980 Lake Placid Olympics, Koch was a favorite to medal, perhaps in more than one event. However exercise-induced asthma led to disappointing results. He did not finish the 30km, finished 16th in the 15km, and 13th in the 50km. After 1980 Koch left the World Cup circuit and competed on the Worldloppet tour which generally consisted of longer distance races. There he was exposed to the skating style of skiing which he immediately embraced and perfected. He returned to the World Cup tour in 1982 with this new technique. The result was a bronze medal at the World Championships and winning the overall World Cup for the season, another first for an American. His success spawned a controversy that would eventually lead to today’s two cross country competitions, classical and freestyle (skating). Bill Koch was a true Vermonter in that despite his talent and success, he shunned the spotlight. He also believed in his own training regimen which occasionally put him at odds with the US Team. All this led to a reputation for being reclusive and “odd”. He was particularly vilified in the US press for his 1980 Olympic performance. Those who knew Koch best were those who trained with him and they always found him personable and open. They also saw what a driven competitor Koch was. Koch had and still has an incredible motor that drives him to always be better. In other words, Koch’s primary competition is with himself. He pursued a personal project to time himself at all distances starting with 100 meters all the way up to 50 kilometers. He did this on a course he set up on a lake here in Vermont. During the project Koch became the first person to ski 50 kilometers in under two hours! Bill Koch would compete in four Olympics and was the United States flag bearer at the 1992 Olympics. After retiring from competition he helped found the youth league that bears his name, the Bill Koch Ski League. This league encourages young people to participate in what Koch believes is a life-long activity that can enrich their lives. Sports Illustrated listed Koch as number three on the top fifty Vermont athletes behind only Andrea Mead Lawrence and Billy Kidd. 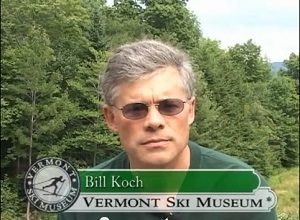 Today Bill Koch lives and skis in Peru, Vermont. 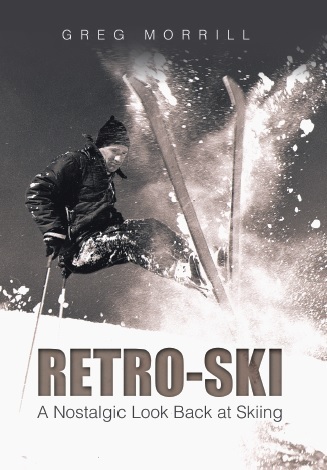 Many thanks to Tim Griffin who strongly suggested I write about Bill Koch and sent me out of my comfort zone. Did you ever read the article of when Bill carried the flag in 1992 (a picture he gave me where he is carrying it) there was a controversy over dipping the flag… very interesting those little things we do not know about the Olympics. Again, I enjoyed your article….